There are no hidden fees associated with our courses. With a single purchase you get everything. We have helped certify thousands of satisfied customers in the USA and internationally. 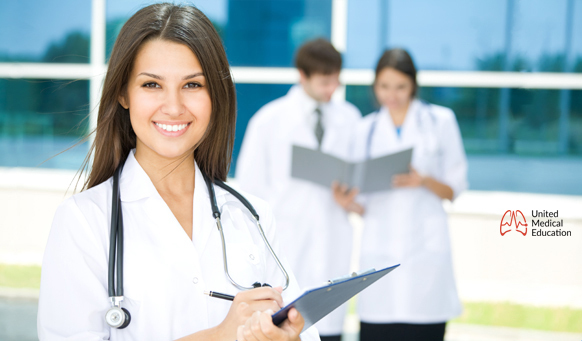 We are regularly asked what is BCLS certification by many individuals new to the healthcare industry. 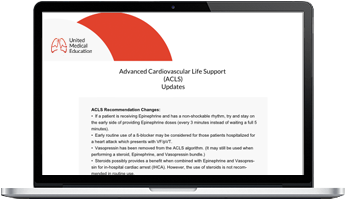 BCLS is an acronym that stands for Basic Cardiac Life Support. In the BCLS course a healthcare provider will learn emergency life saving interventions such as cardiopulmonary resuscitation (CPR), how to work a defibrillator, and also how to respond if a person is choking. After successfully completing the course and exam the student will receive their BCLS certificate and provider card. Is BCLS the Same as BLS? Yes, BCLS Certification and BLS Certification are the same course and the same certification. Only the title of the class changes depending on the institution that is administering the certificate. BLS certification is the most commonly used title since the American Heart Association (AHA) first created and offered the certificate through their training network. BCLS stands for Basic Cardiac Life Support. BLS stands for Basic Life Support. Sign up for our BLS certification course today to meet your BCLS requirement. BCLS certification and training can be done completely online. Our automated training, testing, and certificate delivery program includes everything you need to complete your course in the fastest way possible. After registration you will be given access to a series of training materials with highlighted key concepts. The Online training manual can also be printed and studied at any location. Through our efficient BCLS certification methods you can have your training completed in under 60 minutes. Our automated training and delivery system includes an online testing center. Here you can take your BCLS certification exam completely online. It includes 15 multiple choice questions. After completing the BCLS exam you will receive instant online test results. Exam failure is no longer a concern for our students. Unlimited exam retakes are offered to those who register for our courses. Also, there is no record kept of failed exams. Prior to taking your exam you are able to run through a practice exam and key that will help you better prepare for the final exam. There is no wait period for you to receive proof of your completed BCLS certification. 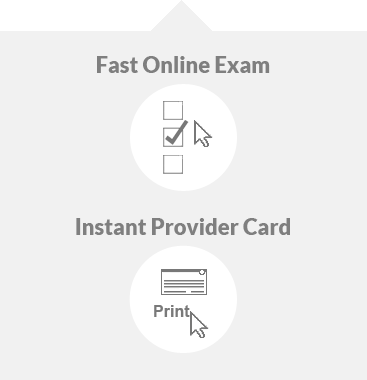 Immediately following successful BCLS test completion you will receive an instant online BCLS provider card. The online provider card uses the same image template as our hard copy print out cards. Also, your BCLS provider card will be sent to you by mail soon after test completion. The standard shipping option is free for all provider cards. Express mailing options are available for those students who desire the hard copy versions of the provider card at an accelerated rate. Before you take the final exam we offer a practice exam with an answer key to help you understand what material is important for the final exam. After you run through the practice exam you can be confident that you are ready to take and pass the final. Undesired BCLS expiration is a constant problem for healthcare providers. Forgetting to recertify can result in lost time at work or worse. Renewal reminders are available through our automated system here online. After successfully passing the course a renewal reminder is easily built that is placed under your control. The renewal reminder is designed to help you remember when BCLS recertification is required. You can easily choose a time and email address to where you desire the reminder to be sent. We are the official BCLS certification company on the Internet. If you are unsatisfied with your course for any reason we offer a 100% money back guarantee. Don’t hesitate to take advantage of our risk-free trial. Now you no longer have to worry about where to spend your hard earned dollar. The roots of CPR and BCLS certification date clear back to the year 1740 when The Paris Academy of Sciences recommended the use of mouth-to-mouth resuscitation for recent victims of drowning. In 1903, Dr. George Crile was the first medical professional to report the successful performance and use of chest compressions in an effort to save a human life, further deepening the importance of the current day BCLS certificate. Finally, in 1960 CPR was officially developed and endorsed by the American Heart Association. At that time the American Heart Association started training healthcare providers in what would later become BCLS certification. CPR combines mouth-to-mouth respiration and chest compressions to help promote the flow of oxygen rich blood to reach the vital organs like the brain, heart, lungs and kidneys. CPR is designed to keep a victim alive until advanced procedures can be used, such as defibrillation. Sudden cardiac arrest kills more than 900 Americans each day. It has been shown that even just 20 minutes of CPR instruction can help save a life. Those earning a BCLS certificate have the potential to save many lives. 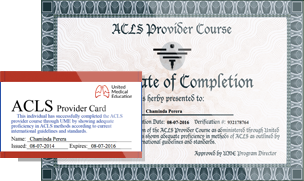 Those who have earned a BCLS certificate will be more prepared in the event of a choking, drowning, heart attack, severe allergic reaction, electric shock, a drug overdose, and many other emergency situations. Victims double or triple their chances of survival if they are given immediate CPR in an emergency situation. For every minute CPR is delayed, the chances of survival have been shown to decrease by about 10 percent. If you are BCLS certified you can work immediately to help save someone’s life. According to the American Heart Association, nearly 92,000 people have their lives saved by CPR each year. Many of those lives are saved by those who hold a BCLS provider card. If it has been a while since you received your BCLS certification, it may be time to renew and update your skills. Some studies have shown that even healthcare professionals tend to lose their CPR knowledge and skills in as little as 90 days after they have received their BCLS certificate. This is why if you are or have been certified in the past you should keep up on your skills, training, and renew when required.